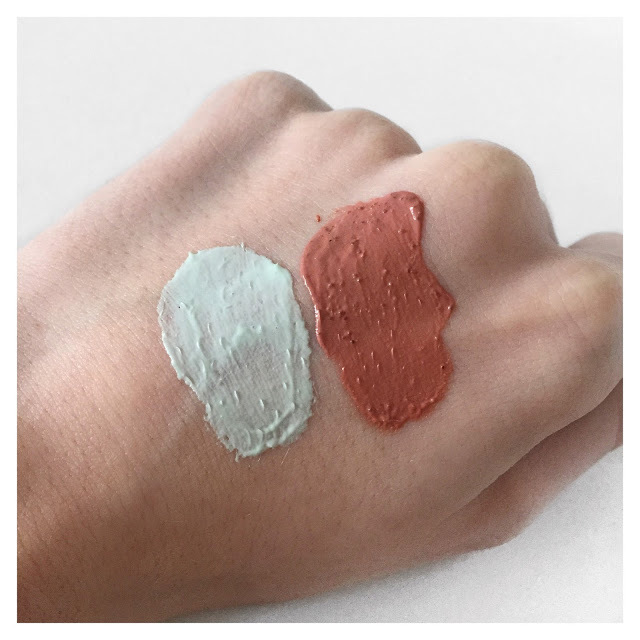 Next is the Pure Clay Purity Mask containing Eucalyptus extract to help purify the skin. This mask is really easy to apply and after 5/10 minutes, it has completely dried and a damp muslin cloth removes it easily. It's definitely my favourite mask of the two as I find it leaves my skin feeling super soft, fresh and purified whilst it leaves the perfect smooth yet mattified base for applying the rest of my skincare and make-up - which is what I always look for in a face mask. This product reminds me a lot of the Origins Out of Trouble face mask (approx £20) as it seems to have the same effect on my skin in terms of feeling purified and refreshed.. so I'd definitely recommend trying the L'oreal mask and saving some £££. Overall, if I had to choose between the two I'd definitely go for the Purity Mask as I find that it gives the best results and leaves my skin feeling extra smooth and purified afterwards. As I've mentioned, the introductory price of these masks are £5 each (they will be £7.99 soon) and L'oreal estimate 10 applications per product. For such a low price point, I think these products are amazing value for money in terms of the benefits of the face masks themselves and also the high-end glass packaging. I should mention that L'oreal have also brought out a Detox mask with charcoal, although I didn't pick up this one as I'm currently using (and loving) one by Sanctuary.